To grow its consumer base and revenue, horse racing must change the way it does business — including giving away free past-performance information that horseplayers use to handicap before placing bets. That belief was expressed repeatedly throughout Wednesday’s first day of panels and presentations at the National HBPA Convention at the Sheraton Sand Key. 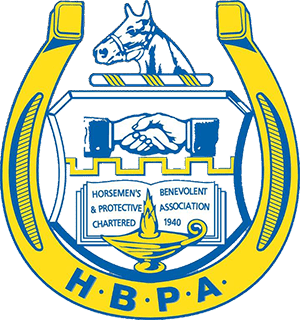 The theme of the annual conclave of the Horsemen’s Benevolent & Protective Association’s national organization and affiliates was finding ways for horse racing to do things better. Adding to the sense of urgency for well-reasoned change is the expansion of legalized sports betting nationally as well as messaging about how horse racing cares for its equine participants. 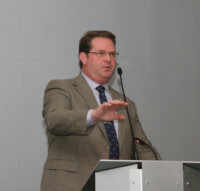 Eric Hamelback, the National HBPA’s chief executive officer, opted to have a keynote panel comprised of Thoroughbred Idea Foundation representatives instead of an individual speaker. Most prominently was the idea of making more data available for free to the public, especially with the anticipated growth of sports betting. An afternoon panel titled “Accessing Our Industry’s Stats into the Future,” urged horse owners to stake a right to the statistics compiled from their horses’ performances. While Hamelback was not a panelist, he has advocated that racehorse owners deserve a seat at the table in determining how data compiled from their horses’ performances is utilized — including offering free past performances. Equibase, the industry’s official data-keeper formed in 1990 by The Jockey Club and Thoroughbred Racing Associations-member tracks, does offer considerable free information at equibase.com but not the basic past performances or raw data files, as the TIF recommends. “Equibase is one of the best things to happen to our industry in the last 20-30 years,” said TIF board member Corey Johnsen, a horse owner-breeder and racetrack operator who spent 12 years as Kentucky Downs’ president until its recent sale. “… Let’s just make a guess that Equibase turns out $4 million a year in profits, split by The Jockey Club and the tracks. Let’s just say we could move the needle and increase handle $100 million by making data more available to our fans – an assumption, I understand. With takeout, you probably have $20 million in commissions. I think anybody would take a $4 million investment to then make $16 million — and I think it could be much more. Steve Byk, host of the popular online racing talk show “At the Races with Steve Byk,” said sports betting provides an opportunity to attract those gamblers to horse racing but has work it must do first. TIF panel moderator Justin Nicholson said racing could work well with sports betting, noting horses could fill the gap at slow times for team sports. “People will be looking for gambling options for those who aren’t looking to bet cricket matches at 2:30 on a Wednesday,” he said. Wilson Shirley, an industry consultant on the statistics panel, said other sports are catching up with baseball’s Sabermetric revolution in the 1970s and that racing must as well. That includes tracking all the information of individuals horses, rather than just where the field is at a certain point in a race, he said. Shirley urged horsemen’s organizations to assert and claim a proprietary right on behalf of their members to the data record of horses’ performance in the race. While there was debate over whether data rights exist, the conclusion was that horsemen should make it part of their contracts with racetracks, which in turn would negotiate with the data-collection system. The care of racehorses during their careers and afterward — and horse racing getting that message out to the mainstream public — was another topic threaded among panels. Bernick said there have been “about five nuclear bombs” for horse racing since 2007, most recently Santa Anita shutting down temporarily in the wake of a rash of equine fatalities that made headlines across the country. Also on the TIF keynote panel were Starlight Racing founder Jack Wolf, the force behind the creation of the broad-based Thoroughbred Aftercare Alliance, one of the industry’s great success stories. Wednesday’s programming started with an analytical view of why racing must embrace racehorse welfare if the industry wants to thrive, let alone survive. Dr. Jennifer Durenberger, the New York Racing Association’s chief examining veterinarian and operator of the Racing Matters consulting business, traced how Americans have transformed from an agricultural lifestyle where humans and animals were dependent upon one another to a society where a majority have never had physical contact with a non-companion animal and 75 percent of households have pets. “Today’s relationship to animals is primarily one of emotional companionship,” and that influences perceptions about horse racing, Durenberger said. But she said the majority of people just want to know that the horses are being well-cared for – and that’s where racing can tell its story better. Durenberger said horse racing is different than the now-defunct Ringling Bros. circus or SeaWorld because of the massive employment and economic impact, statistics that many people don’t realize but appreciate hearing. “Know your numbers. Talk about those numbers,” she said. Durenberger urged everyone in racing to be an ambassador for the sport. Example: she tweeted on Aqueduct’s Gotham Day: “… when horse claimed, new groom will find old groom and ask about favorite treats and toys so horse can feel right at home in new barn.” She said the tweet resonated with the general public and got a huge amount of traction. 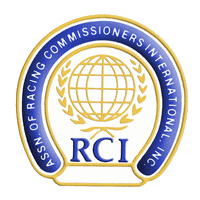 International wagering consultant Michele Fischer provided insight into sports wagering and the potential place for fixed-odds wagering in American horse racing. Fischer said sports betting’s benefit to racetracks and wagering platforms probably is bringing in new customers to bet on horses as well as cross-marketing horse racing and sports. She said some sports operators are interested in adding parimutuel horse racing to their offering as a complementary product. Fischer said Australia could provide America a good model, where total betting on horse racing has increased in recent years while shifting from pari-mutuel to fixed odds. Fischer said there’s a place for both systems of betting on horses, with parimutuel making more sense with multi-race and multi-horse wagers. “Why are fixed odds attractive? It’s a guarantee of the odds when the wager is placed,” Fischer said. “You know what you get. Customers don’t trust late odds shifts. You get more propositions, longer lead times to wager on races and more betting activity. It appeals to younger and casual bettors. It’s really easy to understand, especially in the context of sports wagering. More importantly, the customer is becoming very price sensitive, and sports wagering is going to usher that in. The takeout is really high in parimutuel compared to sports. While bettors might not quite understand why, they feel it and they know what they get back. Colonial Downs senior vice president and general manager John Marshall was the luncheon speaker, providing an update on the return to horse racing in Virginia under new track ownership following a six-year hiatus. Bush Racing Stable’s Penn National-based Persie, winner of 10 races, was honored as the National HBPA Claiming Horse of the Year at the luncheon. As the winner, Persie is guaranteed a home at an Old Friends equine retirement farm. Also Wednesday, Jen Roytz provided an update on the growth of the Retired Racehorse Project and increasing market for off-the-track thoroughbreds in other equine endeavors. Equine Equipment’s Steve Andersen and Lori Douglas made a presentation about TENDA horse products. Recap written by HBPA communications consultant Jennie Rees.